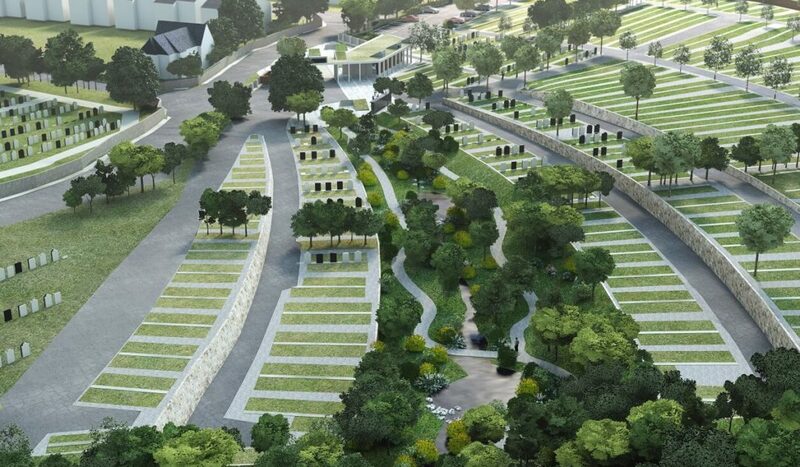 Carron + Walsh provided Quantity Surveying and Contract Administration services for Esker Cemetary. 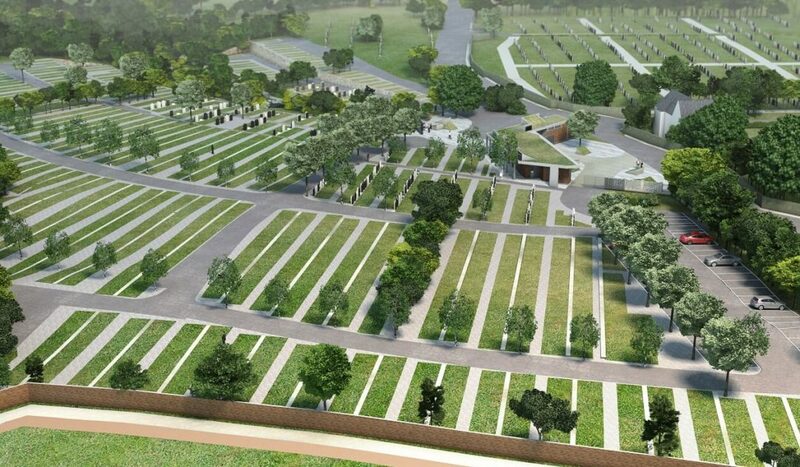 The scope of works provided a new lawn cemetery comprising of 3,461 plots, a single story management building, a toilet building, a storage building, a columbarium wall, car parking, internal network of pedestrian and vehicular pathways, water feature and associated site works. 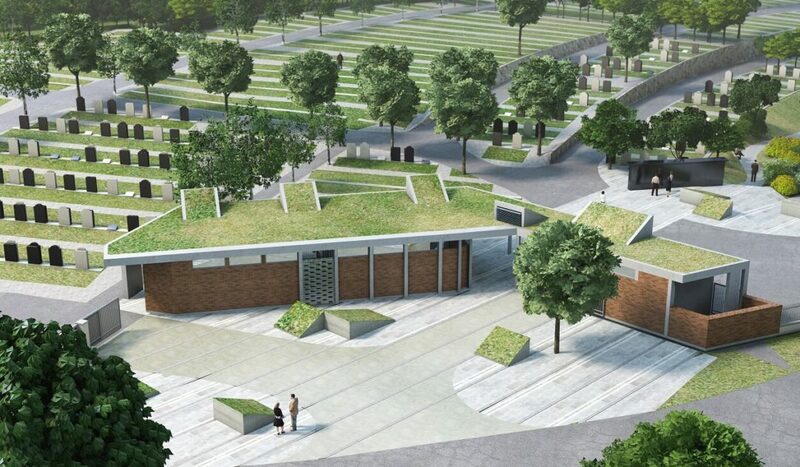 The works also includes for the remediation of the existing site to facilitate the new cemetery in accordance with local authority and EPA requirements.